Preheat oven to 325°. 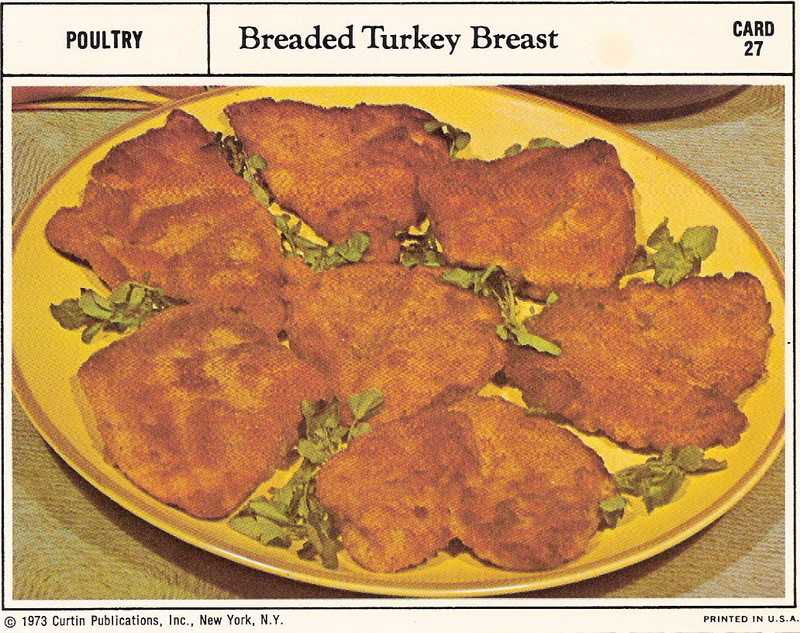 Cut turkey breasts in serving size pieces. Beat egg and water. Dip turkey in beated egg and roll in mixture of bread crumbs, salt, pepper, oregano and rosemary. Brown lightly in butter. Place in baking pan, drizzle with wine and lemon juice. Bake for 1 hour or unti tender.